View More In Training Wheels - Page 3. This item is made of high-quality steel which can bear heavy children without security problems. It fits all 12/ 14/ 16/ 18/ 20 inch children's bicycles. It's sturdy and durable which can keep bycicle beginner stable and help child learn to ride a bike without fear. This is a good choice of fittings for your children to learn the bike at the first time. Fits 12/ 14/ 16/ 18/ 20 inch children's bicycles. 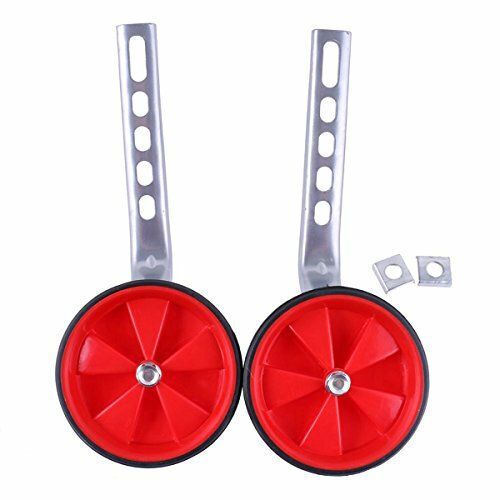 Sturdy wheels keep beginners stable, help child learn to ride a bike without fear.